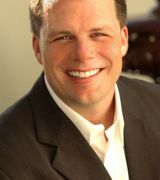 Joseph Horsley has 13 years of experience in the real estate business and is dedicated to every client. Joseph specializes as a Buyer&apos;s Agent, Listing Agent, Lease Agent and Property Manager. Beach Cities Real Estate provides Real Estate Services for all the beach communities located from downtown San Diego up to the Monterey Peninsula area near San Francisco. Beach Cities Real Estate Broker David Schwartz opened Beach Cities Real Estate on the famous “Del Mar” main street in downtown San Clemente in August 2000. His vision of creating a local company with premier marketing and customer service was soon formulated in the creation of Beach Cities Real Estate, Inc. David&apos;s past experience while working at Coldwell Banker in Capistrano Beach provided the frame work for the company and soon learned the value of premier customer service. He found that homes could be sold easier without going through the various corporate channels that exists in large brand name Real Estate companies. The creation of Beach Cities Real Estate with a focus on selling beach properties along the Southern California coastline was a huge success and to date have sold well over 200 million dollars worth of real estate.